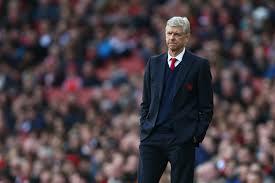 Could Wenger leave Arsenal if they win the Premier League? Arsenal have endured a 12-year drought in their attempt to win the Premier League title. The Gunners have failed to clinch the top-flight crown since the infamous ‘Invincibles’ team of the 2003-4 campaign that won the division without losing a match. However, Wenger and his side have endured hardships in the 12 years following the triumph, often blowing sizable leads at the top of the table late in the season. As time slowly comes to an end on the Frenchman’s current deal, it begs the question whether he could walk away from the Emirates should the club finally achieve their ambition. Their next campaign kicks off on August 14, and Arsenal tickets for their opener against Liverpool will be hard to come by as fans flock to see if the Gunners can begin the season with a statement of intent. Supporters of the North London outfit remain fiercely divided as to whether Wenger is the man to lead the club forward, with protests staged towards the end of last season demanding his resignation. Frustrations have been close to the surface since the Frenchman allowed Thierry Henry and Cesc Fabregas to leave the club to join Barcelona, limiting their ability to compete at the top of the Premier League and in the Champions League. Wenger started to turn the corner with the signings of Mesut Ozil and Alexis Sanchez, spending heavily on both players, but it has still not been enough to return the club to the top-flight summit.The 66-year-old has continued his spending this summer with the signing of Granit Xhaka, who will add steel to the middle of the park in a team that finished second last season. However, the club’s rivals Chelsea, Manchester City, Manchester United, and Tottenham have already made strides to improve their squads in a bid to surpass the Gunners in 2016-17. As a result, the Premier League will be arguably at its most competitive since the formation of the division in 1992, making life even harder for Wenger and co as he faces numerous accomplished managers including Pep Guardiola, Antonio Conte, and his old foe Jose Mourinho.The pressure will be on the Arsenal boss to make further impactful additions to his team to match the acquisitions of their rivals, with seemingly a narrow pool of players available to improve his side’s options in the final third. Zlatan Ibrahimovic and Michy Batshuayi were two of the top targets on the market but have since signed with Manchester United and Chelsea respectively. Danny Welbeck will miss significant time due to a knee injury, leaving the Gunners short of options to either provide competition to or oust Olivier Giroud. Gonzalo Higuain has been linked with a switch, which could be a coup for the Gunners, although at the age of 28 he would not appear to be a long-term solution. Arsenal are also reportedly considering a move for Germany international Julian Draxler, and that would certainly put them in the ballpark of funds spent by their rivals this summer. The club’s best hopes of ending their drought may well have passed them by last season as Leicester City stunned the world to win the crown. Leicester’s triumph jolted the rest of the league into action, and as a result, significant moves have been made across the division. Wenger has only one year left on his contract, and should he guide his team to the ultimate goal of securing the top-flight crown for the fourth time, especially in the current circumstances, he may have the perfect opportunity to end on the highest of notes.